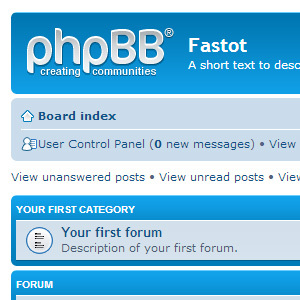 phpBB is a free and open-source forum software. Fastdot is an award-winning web hosting provider. With this combination, you can get started with your own forum, message board, and community today! You can trust Fastdot to help you grow your online community to its heights with our performance-driven phpBB hosting solutions. Because phpBB is released under the GNU General Public License, you may make changes to the code without first having to obtain permission from the phpBB Group. Our extensive database of user-created modifications makes changing and adding features as simple as pasting code into the appropriate files, while the styles database contains hundreds of style and image packages to customize your board. phpBB is easy to install with Installatron, our 1-Click Script Installer.